“Unbelievably cute:” True-Tail animation series, from Skynamic Studios. 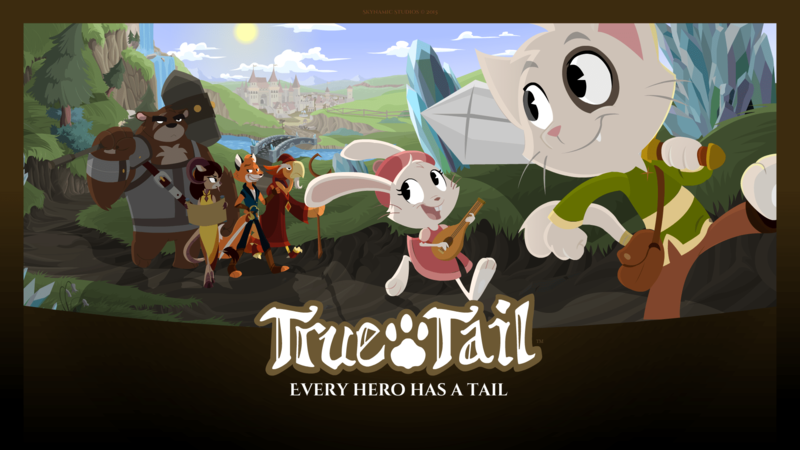 Back in August 2013, Rod O’Riley’s In-Fur-Nation brought us the first news of Skynamic Studios’ “True-Tail” Adobe Flash animation series in preproduction. “A place where six unruly mercenaries must learn to work together … Or succumb to an ancient dark magic.” The six are Caleb, a kitten squire; Brutus, a bear warrior-knight; Viktor, a fox thief; Melody, a rabbit bard; Doh-Li, a half-dragon, half-deer priestess; and Kanikus, an ancient phoenix wizard. The art design is – unbelievably cute. Not much has been heard about it since then, until now. Skynamic Studios recently released an updated online press release with a lot more art. It’s worth checking out. Skynamic Studios is a new “virtual studio” with no specific address. All of its employees are freelancers who work at home and communicate online. See their website for how this works. Cartoon Brew has just announced that Animal Logic, the Sydney animation studio that made “The LEGO Movie” for Warner Bros., will expand into a second studio in Vancouver and plans three new theatrical animated features to start; a LEGO Movie sequel, and two features starring Betty Boop and Astro Boy. Not much anthropomorphic yet, but if these are successful, can more anthro features be far behind? Animal Logic did the animation for the two “Babe” movies, “Happy Feet”, and the Guardians of Ga’Hool owl movie. I should also mention that Sony Columbia announced last year that it was closing its Hollywood animation studio, and was opening a new studio in Vancouver to finish production on “Hotel Transylvania 2” (which is just about ready to be released). Apparently rents are really cheap in Vancouver, plus the British Columbia government will give really good tax breaks to attract new businesses. The RainMaker studio (formerly MainFrame) was originally established there because it was much cheaper than starting a new animation studio anywhere in the U. S.
That’s “Legends of the Guardians: the Owls of Ga’Hoole”. The movie is much better than the books, which rarely happens. I just hope nothing BAD happens to the project.